With five fully restored historic theaters (built 1921-22), Playhouse Square is the largest theater restoration project in the world. Join us for a free tour and find out how these gems were saved from the wrecking ball! Today, Playhouse Square is the largest performing arts center outside of New York City and hosts nearly 1,000,000 guests and 1,000 curtains each year. 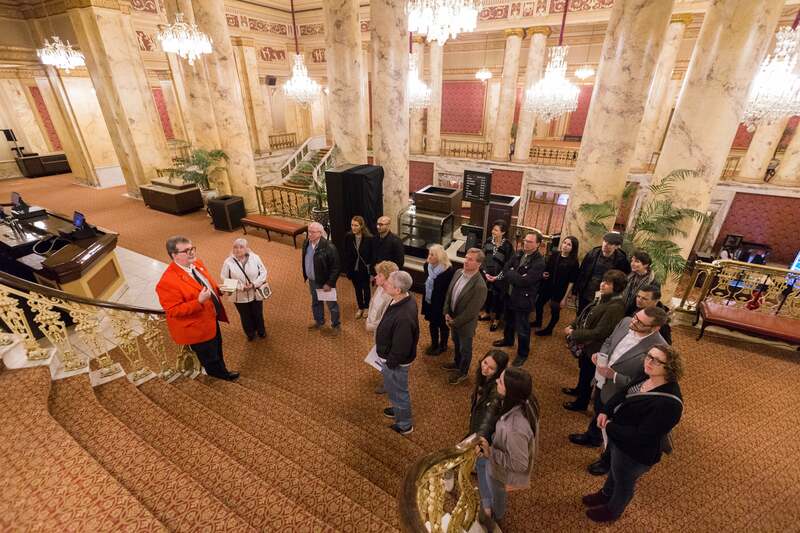 Meet our RedCoat volunteer tour guides in the KeyBank State Theatre lobby on select Saturdays (listed below) for a free historic based Playhouse Square Tour. Tours depart every 15 minutes between 10-11:30 a.m. and last approximately 90 minutes. Last tour departs at 11:30 a.m. Tours do involve stairs and we do suggest wearing comfortable shoes. Please note that backstage access during tours is subject to availability. No registration is necessary for groups with fewer than ten (10) people. If you have a group of ten (10) or more guests planning to attend a free tour date, please contact Megan Anderson at 216-640-8531 or fill out the form below. Be sure to check back in the future for added dates! Conducted by Gateway District Heritage Tourism, on select dates we offer free outdoor walking tours of the Playhouse Square District. Please note that these tours typically only run during the summer time. Click here for more information on tour dates and meeting location. 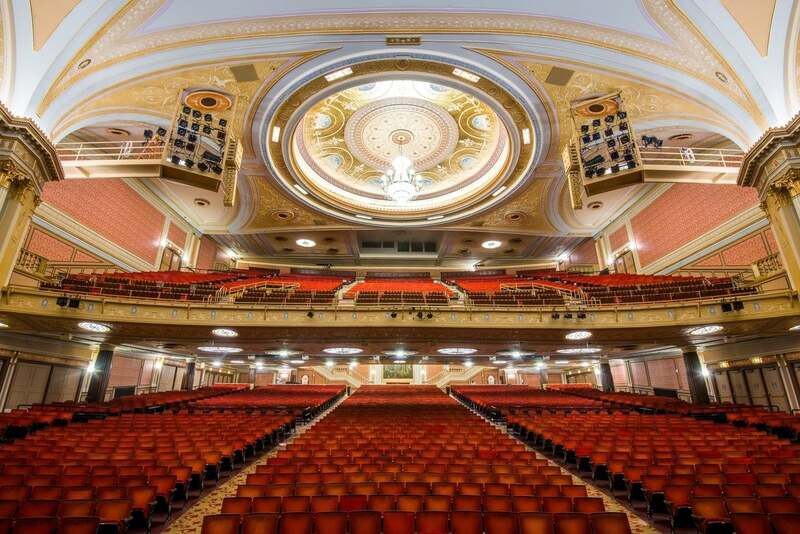 Private tours of our theaters are available to those who may not be able to attend a free theater tour date. Private tours can be scheduled any day of the week after 10 a.m. and are booked based on facility availability. Please note that backstage access during tours is subject to availability. Private tours are for groups of 10 or more and are charged a fee. Private tours must be arranged at least two to three weeks in advance of the desired tour date. For information, please contact Megan Anderson at 216-640-8531 or fill out the form below.